By D Home | 1 year ago Including which builder to choose. By D Home | 4 months ago Hint: Ikea linens are your friend. By D Home | 10 months ago Get started on your sustainable journey. By D Home | 11 months ago Where to shop in Dallas for your great outdoors. By D Home | 11 months ago If you're looking to sell, this is your month. By D Home | 12 months ago May is National Preservation Month. Here's where to go in Dallas to conserve, restore, or find your favorite treasures. By D Home | 12 months ago Of course we included a margarita recipe. By D Home | 12 months ago Add these must-dos to your calendar. By D Home | 12 months ago A few maintenance tips for the hot months ahead. 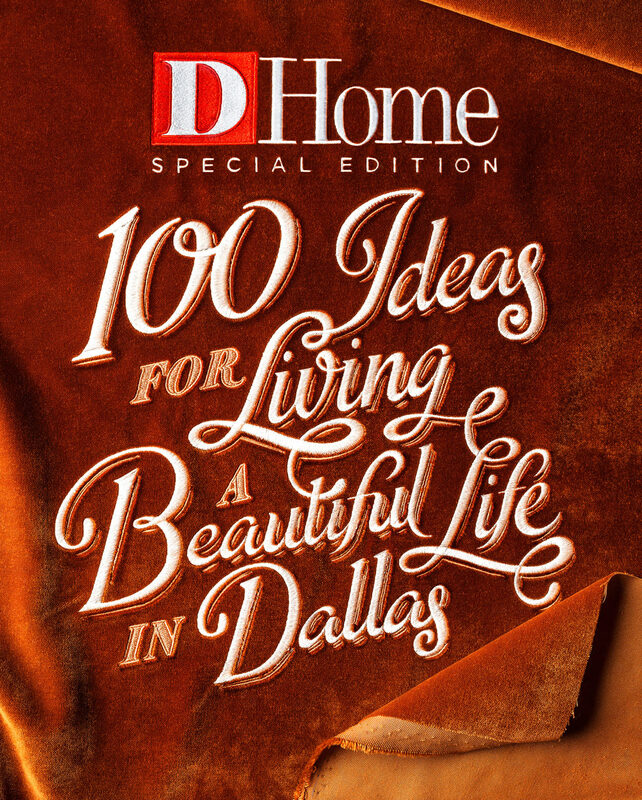 By D Home | 1 year ago Plus, we highlight some of the most inspiring architects and architecture in Dallas. By D Home | 1 year ago Never walked into an art gallery? No problem. By D Home | 1 year ago Are you more of a "Soft Chinchilla" or a "Wythe Blue?" By D Home | 1 year ago Local interior designers and architects weigh in. By D Home | 1 year ago Plus, save the date for the best secret sales. By D Home | 1 year ago Swoon the Studio principals share their thoughts on perfecting your mix. By D Home | 1 year ago We polled Dallas experts to compile everything you need to keep your house happy. By D Home | 1 year ago You'll be spending a lot of time together. We'll help you choose wisely.